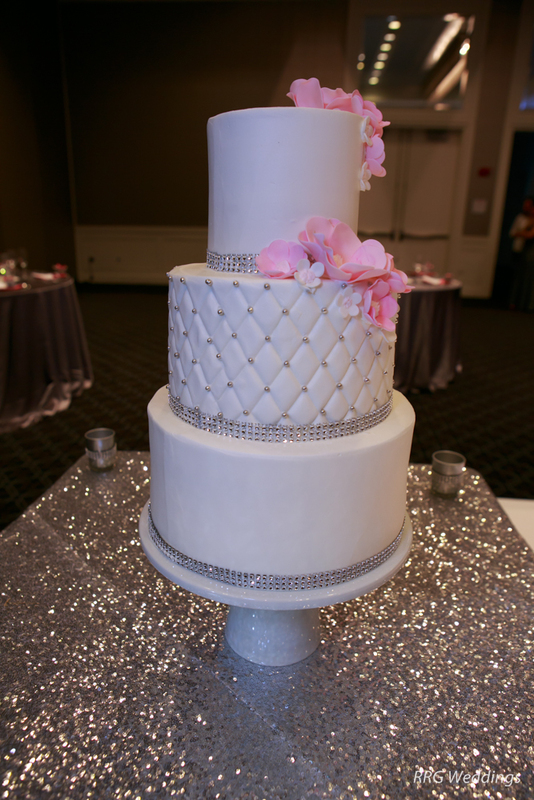 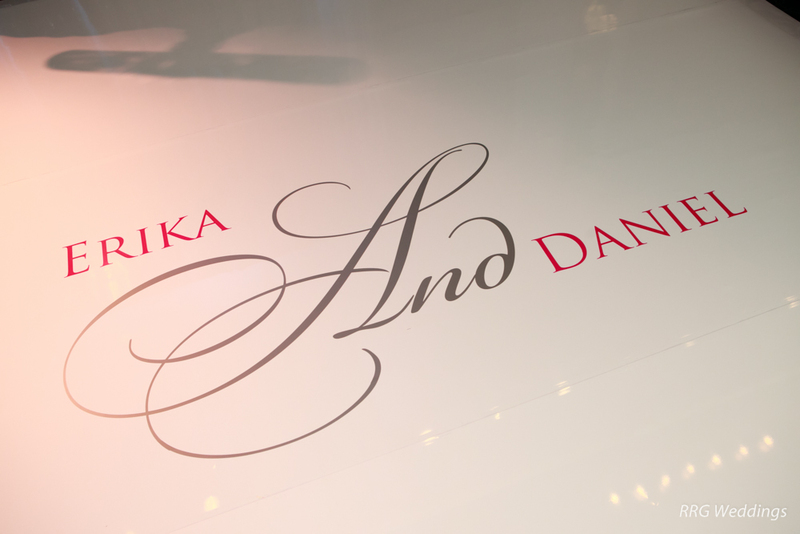 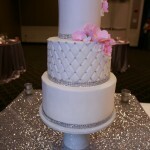 We had the pleasure of working with Erika and Dan as their full service wedding planners. 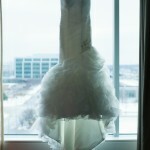 Erika had a distinct vision for her wedding day and it was our joy bringing it to life. 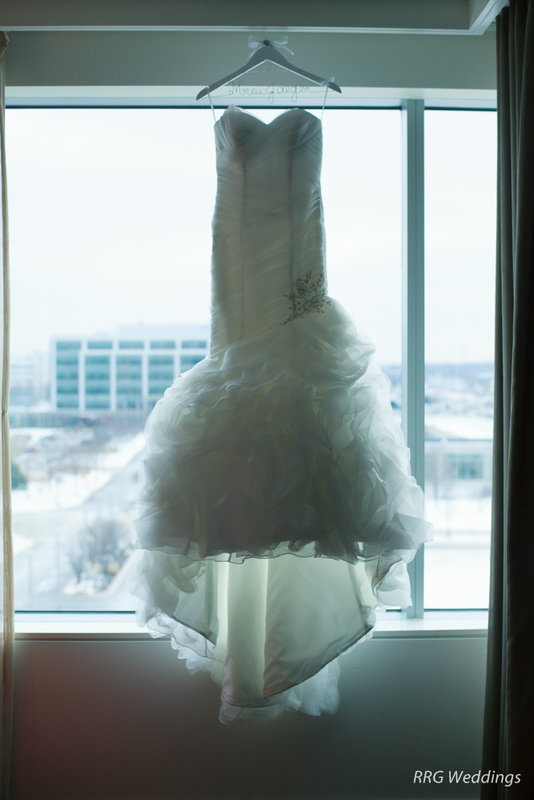 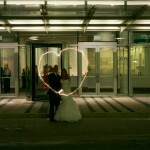 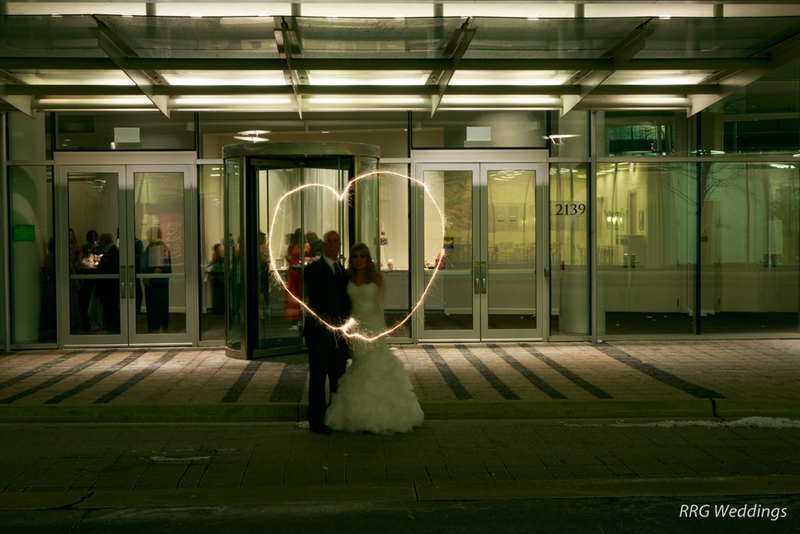 They were married on the Wednesday before Thanksgiving at the Hotel Arista in Naperville. 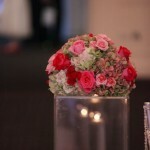 Erika broke the seasonal boundaries by opting not to use the traditional fall harvest colors. 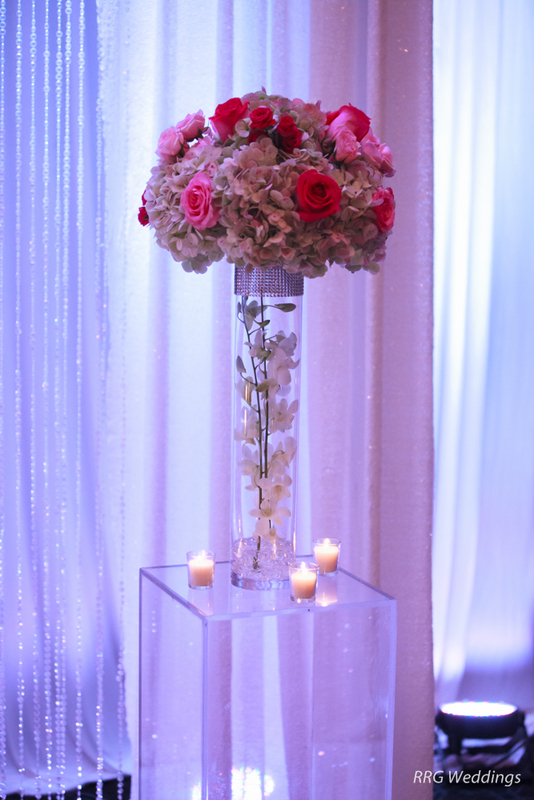 Instead, Phillip’s Flowers provided arrangements in vibrant shades of pinks, while rhinestones jazzed up the space for extra decor. 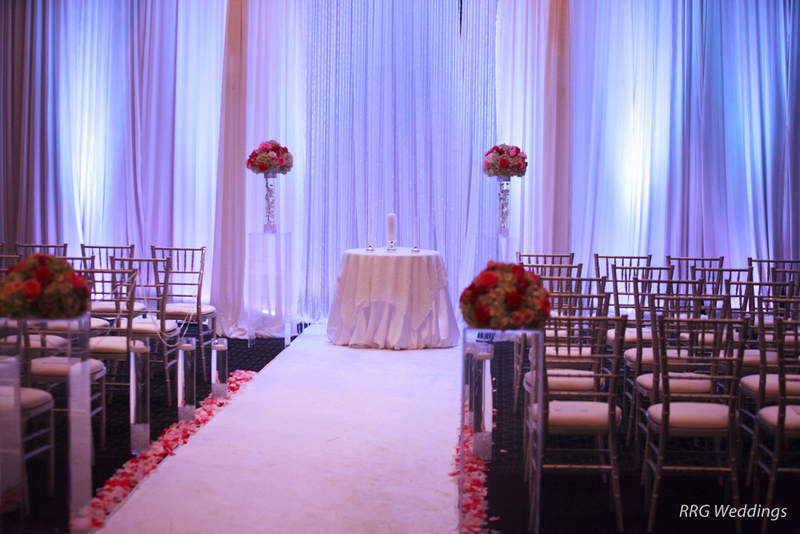 The ceremony took place in one half of the ballroom. 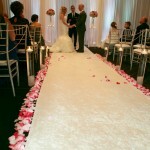 Erika and Dan were married in front of a beautiful sparkling backdrop then proceeded down a pink petaled lined aisle. 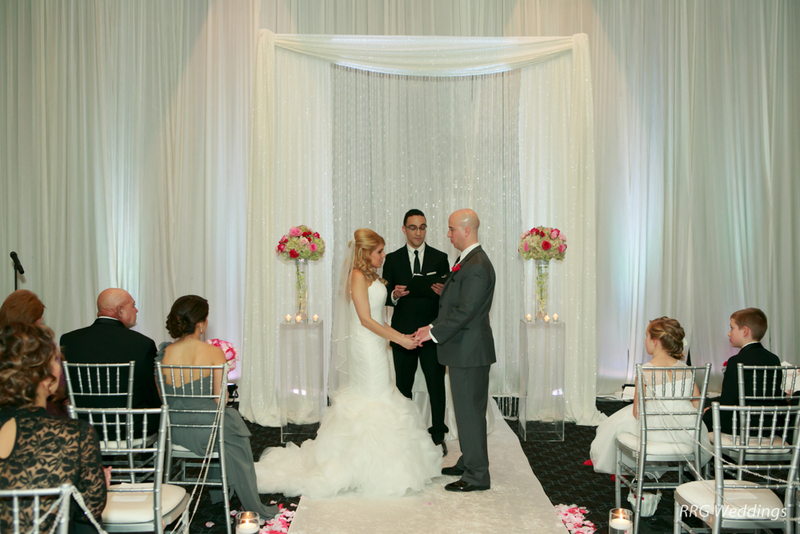 As families from both sides witnessed their “I Do’s” in both English and Spanish. 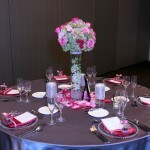 The reception immediately followed in the other half of the ballroom. 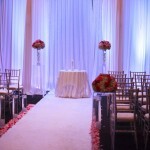 Up-lights lit up the room and bounced off the vinyl wrapped dance floor that included their custom monogram. 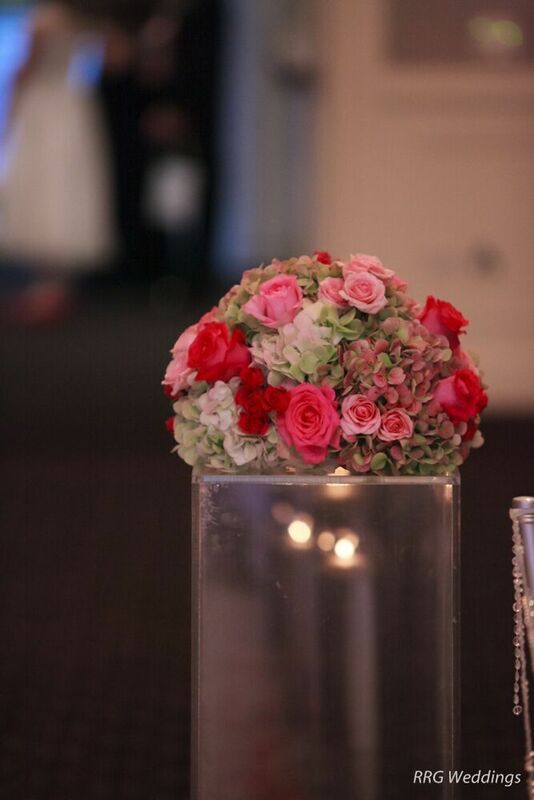 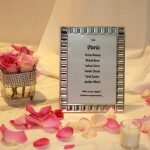 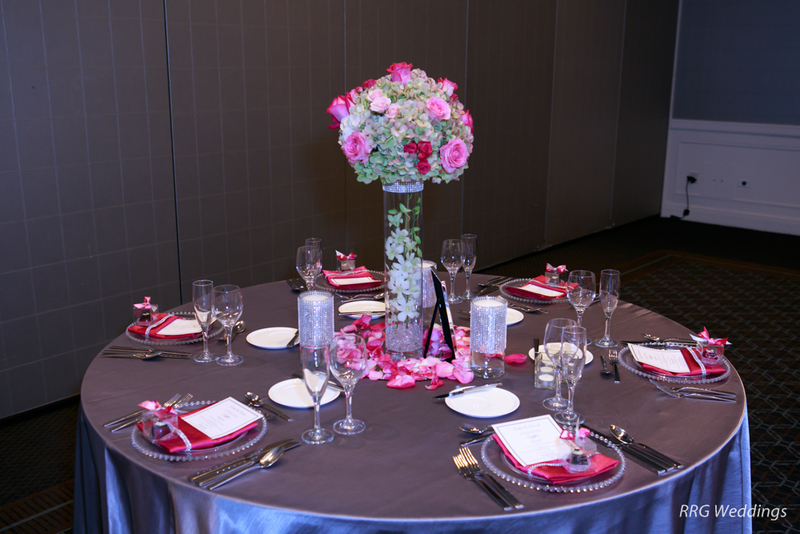 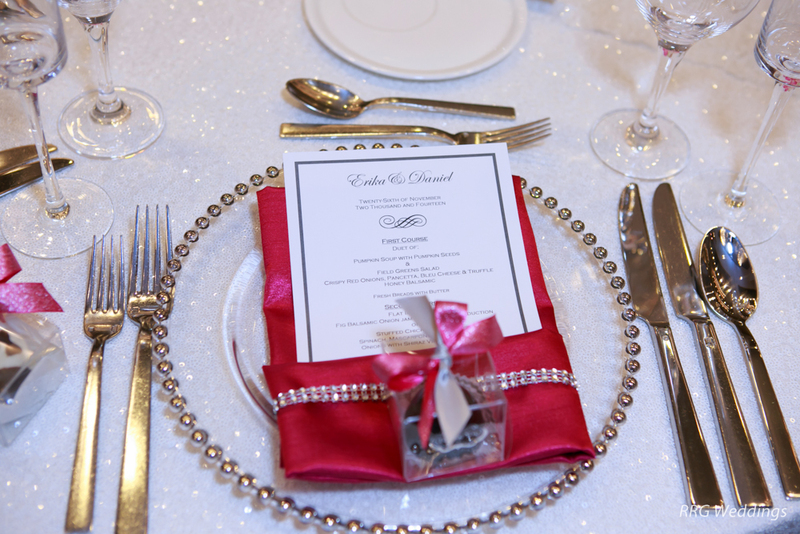 The silver linens were a beautiful contrast to the hot pink hues of the flowers. 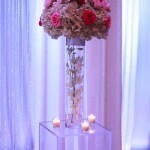 A personal favorite from this wedding was the backdrop that hung behind the sweetheart table. 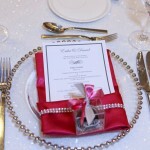 The twinkling lights and sheer fabric made for the perfect backdrop for toast and photos. 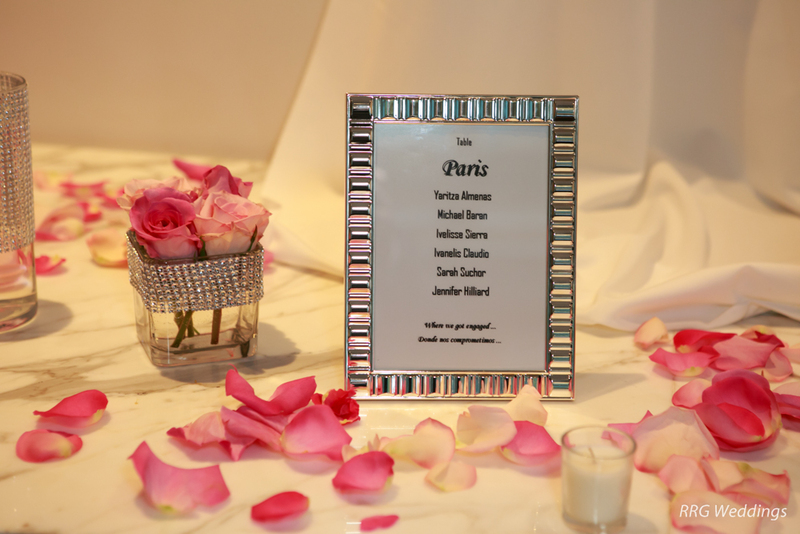 Guest danced the night away with the help of Music by Design, who also acted as the bilingual MC for the night. 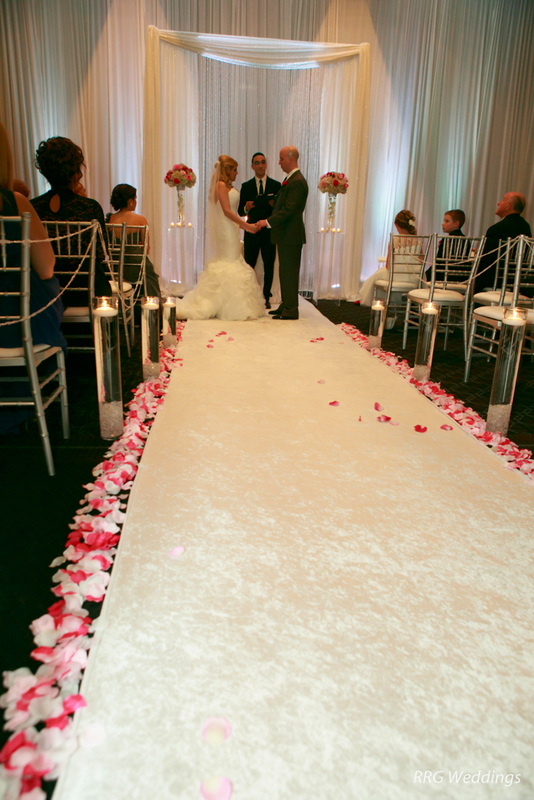 Thank you for letting us be a part of your wedding day.